This post is sponsored by Hidden Valley Ranch. All opinions are 100% my own. 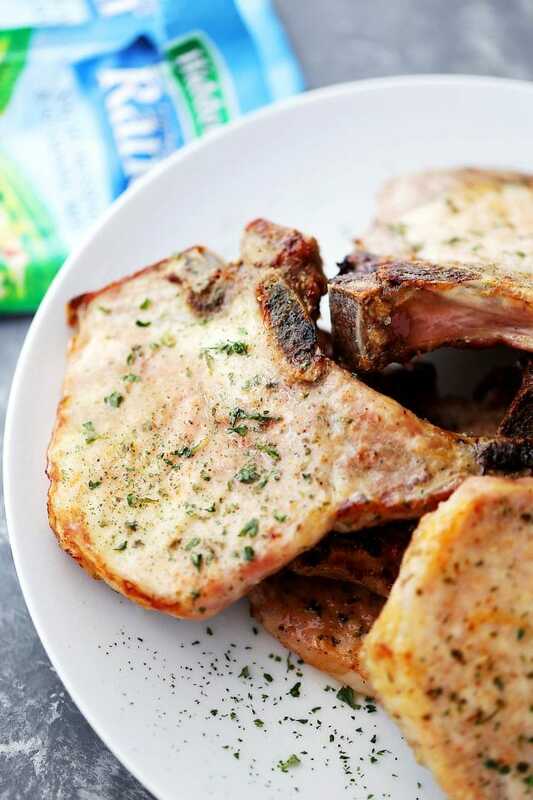 Made with just a few simple ingredients, this Ranch Pork Chops Recipe will become your new favorite pork chops dinner! Hi Hi!! I have something to tell you! It’s a story about how I bought three ingredients and made one of our favorite dinners of all time: Ranch Pork Chops. I love making ranch pork chops for dinner. If you are anything like me, then you are also a lover of ranch dressing, and now is the time to take it all to the next level. If you haven’t yet, that is. Ranch ain’t just a salad dressing, you know? Buuuuut! THIS is not THAT. THIS my friends is Hidden Valley Original Ranch Salad Dressing & Seasoning Mix sprinkled over juicy pork chops and baked in the oven for only 20 minutes. Dinner, with prep time and all, will be ready in 30 minutes. Hop on over to SheKnows for the RECIPE. 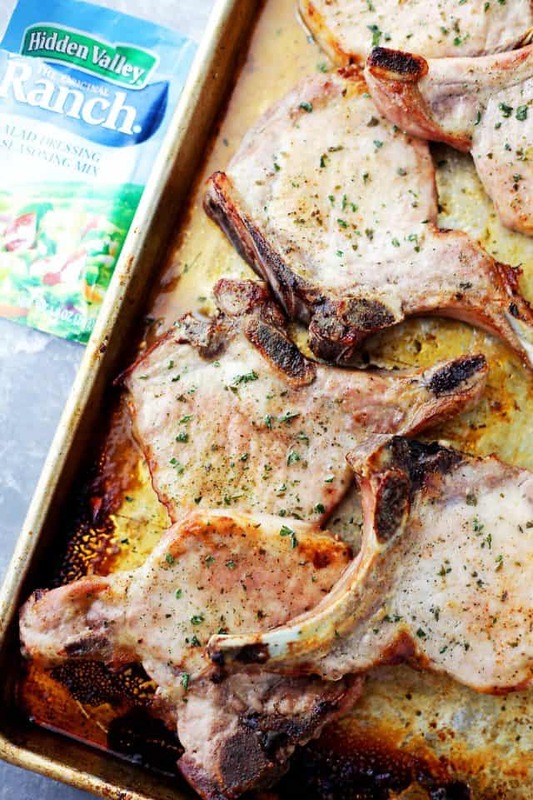 These pork chops are such a crowd pleaser! Mmmm, these look so delicious!! Love that these are baked – delicious! This is the best pork chop recipe I’ve seen this week! Definitely a must try! My husband loves pork chops! I’ll definitely have to try this variation on him! They look delicious. I wonder if you can use the bottled dressing as I don’t buy the mix.